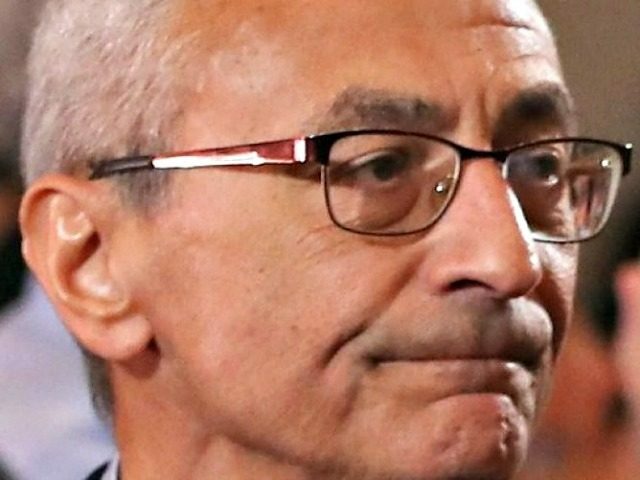 Hillary Clinton 2016 presidential campaign chairman John Podesta called for Environmental Protection Agency (EPA) Administrator Scott Pruitt to resign in an op-ed in the Washington Post. The former chief of staff to President Bill Clinton cites several reasons as to why Pruitt should resign as the head of the EPA, which includes Pruitt allegedly traveling first class across the nation on false pretenses, and eliminating onerous environmental regulations. Podesta also cited an imaginary meeting last March between Pruitt and Dow Chemical chief executive Andrew Liveris. The EPA contends that Podesta serves as the latest part of a campaign from the liberal environmental group the Sierra Club. A campaign funded by the Sierra Club running ads on MSNBC and Morning Joe attempting to influence President Trump may not be particularly successful. But please don’t take my word for it, spend your money. Administrator Pruitt is proud to advance President Trump’s agenda on regulatory certainty and environmental stewardship. Having Scott Pruitt in charge of the U.S. Environmental Protection Agency is like putting an arsonist in charge of fighting fires. He is a climate science denier who, as Attorney General for the state of Oklahoma, regularly conspired with the fossil fuel industry to attack EPA protections. Breitbart News reported in June how the Associated Press (AP) reported on an imaginary meeting between Liveris and Pruitt and alleged some sort of impropriety as a result. The AP later issued a retraction, correcting the false reporting. The same author of the retracted Associated Press article, Michael Biesecker, also wrote a fake news article suggesting that the EPA did not take adequate steps to safeguard areas that became polluted by hazardous materials during Hurricane Harvey. Politico, Vox, and the Washington Post have published reports this week detailing that EPA chief Scott Pruitt has traveled first class or business class for security purposes. Vox wrote an article detailing how the nature of Pruitt’s security concerns amounted to “unpleasant travelers.” However, Pruitt has faced several death threats and other security concerns during his tenure as the head of the EPA. Patrick Sullivan, the EPA’s assistant inspector general for investigations, said in an interview with E&E News in January 2018, said his office opened up approximately 70 threat probes in 2017, which surpasses the 45 launches against the EPA in 2016. “He has had significantly more threats directed against him. There’s absolutely no question about it,” Sullivan told E&E News. The EPA recently released a new booklet that details how the environmental agency, under Pruitt, eliminated 22 regulations and saved the country more than $1 billion in regulatory costs. The EPA’s booklet is 40 pages long, compared to the Department of Labor’s, which is only four pages long.